A sequel to the 2012 first person action game was quickly teased today during a supposed powerpoint presentation. 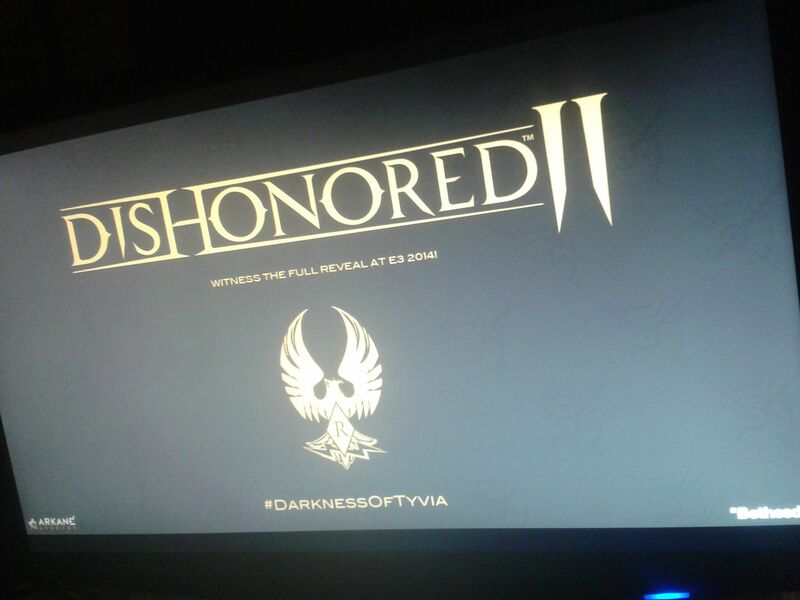 The image in question reveals that the game will be announced during this years E3 Event (June 10th through 12th), it also contains developers logos, a hashtag #DarknessOfTyvia as well as some sort of bird logo with an "R" in the center. It's difficult to be sure that this photo is legitimate, that being said Dishonored was a phenomenal title that was awarded Game Of The Year so a sequel seems deserving. We will find out if this is an actual title once E3 rolls around in three months. For those of you unfamiliar with Dishonored, it's an action game with a heavy stealth element published by Bethesda studios. You follow "Corvo Attono" in this first person adventure, through Dunwall as a bodyguard. After being framed for a murder, you must seek revenge on those who wronged you with the help of a resistance. The game presents many fantastic elements in it's gameplay along with some stunning visuals. I personally have high hopes for the sequel, it will be a serious step up from what the first game brought to the table and that is pretty exciting for fans of the original as well as any gaming fans. Thoughts on this news?